Identity Theft is real, we’re reminded time and time again. After millions of American consumers had their credit card info stolen through major retailers like Target, it’s hard to imagine who hasn’t had their identity theft stolen, at least to some extent. But as identity thieves have become more sophisticated, so have efforts to keep them away from you, your identity, and your wallet. Enter LifeLock, one of a number of identity protection services out there. LifeLock makes bold claims in their advertising, but their offerings are actually pretty standard. They can provide good value to a certain type of customer. But with a little effort, it’s possible to keep track of your identity just as well on your own. We’ll look at all the details below. It’s possible you’ve come across LifeLock from one of their TV ads. One such ad shows a spooky Russian gentleman selling personal identification information at auction. Then LifeLock bursts in and dismantles the website. Overtop of the action, the LifeLock spokesman says they keep an eye on all such sites, and if your identity is compromised “LifeLock is there.” Now, LifeLock may be “there”, but what can they actually do about identity theft. Answer? Not much. The chances of LifeLock spotting your identity as it is being sold are somewhat slim. And even if they witnessed the event in process, they wouldn’t actually be able to do anything about it, other than notify you. LifeLock doesn’t have any legal authority. LifeLock can be useful if you are unable to watch your credit and personal identity yourself. But we’ll talk more a little later about how you probably can do this job for yourself. So in reality, LifeLock is a personal identification watchdog. And they’ll charge you a lot for their services, between $100 and $300 a year. For some people, this may still be a valuable service. If LifeLock is able to monitor your identity better than you can yourself, then perhaps this will be a valuable service for you to pay for. But let’s look a little deeper about what LifeLock actually does before you decide. We’ve already pointed out that LifeLock tries to seek out the places where your identity might be compromised or sold, like P2P sites and dark net identity markets. But it’s important to realize that once your identity is in a place like this, much of the damage has already been done. And because LifeLock can’t shut these sites down, the best they can do is try to notify you and your bank before lasting damage is done. If you were to notice the signs, you could notify your bank yourself and save yourself the yearly LifeLock dues. You can also do this yourself. Financial institutions are getting a lot better about helping their customers recover from identity theft. If you find illicit payments taken out of your account or card, you can get them quickly reversed in most cases with a simple call to your financial institution. If your social security number or other critical information is compromised, you can quickly put a freeze on your account with the three Credit Bureaus (TransUnion, Experian, Equifax) before the damage is done, and while you rectify the situation. But this requires proactive decisions on your part. You’ve got to monitor your own credit. Be conscious of money coming in and out of your bank accounts. Be prepared to notice when illicit purchases are made so you can get them resolved quickly. Also, check your credit reports once a month or so. You’ll quickly learn to notice fishy actions. Services like LifeLock are legitimate. But they frequently perform tasks that you could easily do yourself. With the state of identity theft response improving, the average person can keep track of their identity on their own. In cases like this, prevention is better than cure. So don’t release your personal identification just anywhere, especially online. Stay vigilant for signs of identity theft. And monitor your credit report and score. If anything goes wrong, quickly contact your financial institutions to make sure it is made right. If you simply don’t have the time or energy for this, LifeLock may work for you. Affiliate Disclosure: We get paid a commission when you purchase from LifeLock using one of our links. 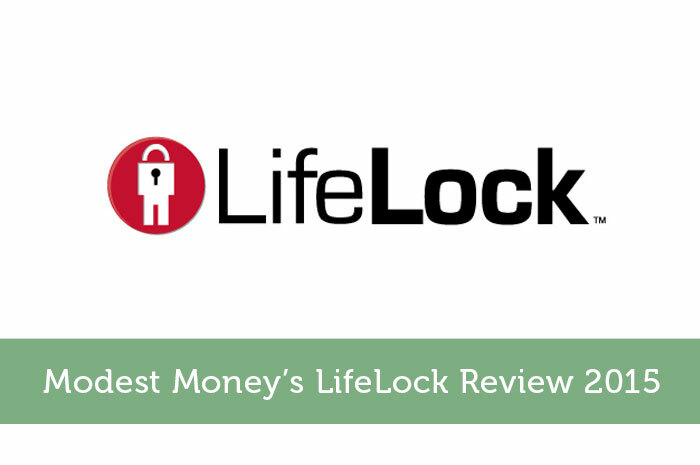 I really like the LifeLock products. They’re extremely comprehensive and the LifeLock Jr. They’re pricing is a littler higher than some of the other plans from IdentityForce and even the plans from the credit bureaus. In the end, just getting any type of monitoring is a solid plan for everyone. It’s just another layer of protection that can keep problems from getting worse.